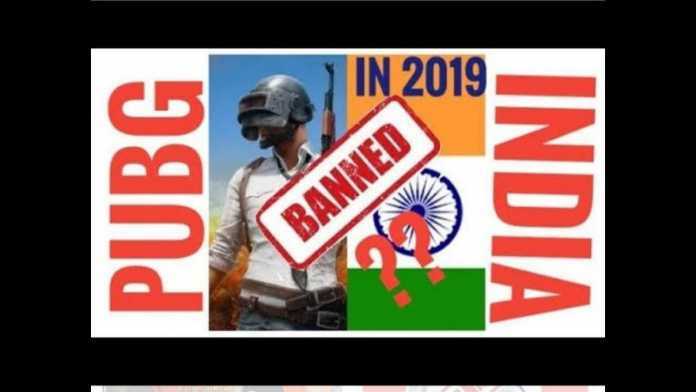 PUBG Mobile Ban in India REAL or FAKE: The PUBG Mobile gaming sensation that has smartphone users on the edge. From thrilling excitement to fears of addiction, PUBG Mobile players are trying to strike a balance. But reports of PUBG Mobile Game causing misbalance in life, to the extent where some players are seeking medical help to overcome addiction. The Educational institutes have warned against the gaming habits of students and one university even banned playing the game on the campus. With all that’s going on, PUBG Mobile App is still growing by leaps and bounds. It has finally surpassed its chief rival Fortnite with higher daily active users. According to a recent report, PUBG Mobile App Hits 200 million downloads and 30 million daily active users. The PUBG Mobile Game witnessed overnight success in India, where PUBG Mobile game also showed the country’s first-ever TV commercial for a mobile game. As the roaring success of PUBG Mobile continues to rise in India, concerns regarding the game’s effect on students are persistent. With that lingering fear, a government notice has been making the rounds on WhatsApp forwards suggesting banning of the popular battle royale game, which makes it more believable. Even though the circumstances would make us believe the PUBG Mobile ban notice is for real, looking at the details makes us question the authenticity of the letter. 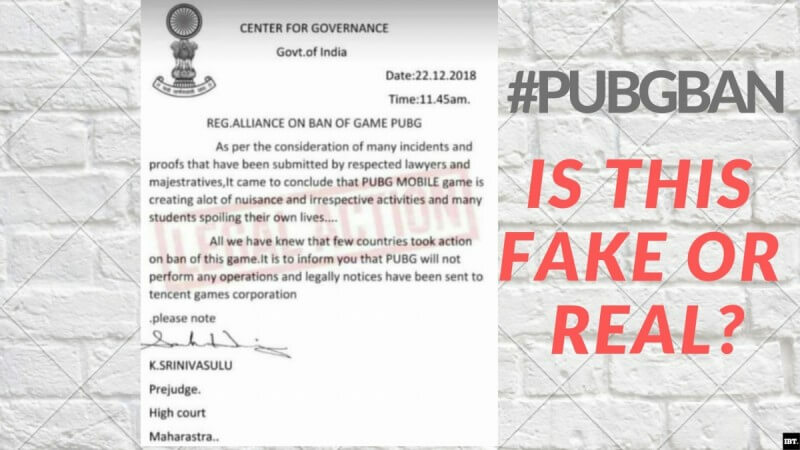 Let us show why the notice is nothing but a hoax and PUBG Mobile players shouldn’t fear to get the game banned in India. The format: The notice has an unusual (amateurish) format with a dramatic “Legal Action” watermark. The date, time, subject, matter, and the closing looks like a leave letter to be submitted in school rather than a legal notice. Grammar: It’s uncommon to see grammatical errors in a legal notice and this one has got one too many. Errors like “All we have knew” to wrongful punctuation suggests nothing but an amateur attempt at striking fear among PUBG Mobile players. The signing judge: A quick search on Google will give you details of the judge in any particular court. Looking for “K.Srinivasulu” in Maharashtra High Court does not show any results, which only means this is not a legit order.